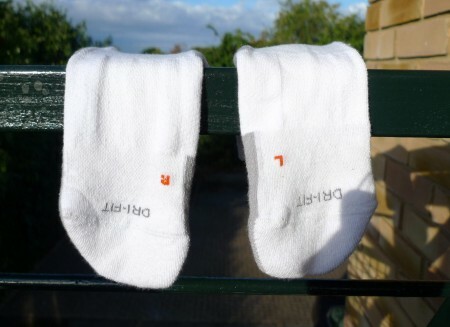 Quite how sceptics can continue to claim that left and right socks are interchangeable in the face of such compelling evidence is beyond me. pfffffft. only anomalous items are marked. blodgett have ‘blodgett’ written on the side.